Just as the (APC) governors call on President Muhammadu Buhari to run for the 2019 presidential election, the Arewa Youths Consultative Forum, (AYCF) says any arrangement for Buhari to run in the next poll would be resisted. They, therefore, urged the president to abandon his right to contest the 2019 presidential election. lamenting that: “Honestly, the situation is nothing to write home about and we cannot continue hoping that anything will happen from now till the next one year. We cannot continue to imagine that. 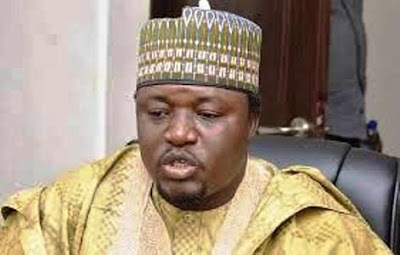 That would assume we are living in imagination and the truth of the matter is that from now until January what the government has been able to do is what they can do for this tenure and I do not think that Nigerians are prepared to be fooled for the second time,” in an interview: Yerima Shettima, president of the Arewa Youth Consultative Forum, AYCF said . We cannot continue over and over. We have come of age. We cannot continue to fold our hands and be complaining. We must be in the mainstream. Most of them that are now above 60 had the opportunity but they could not do it well and I do not see them doing it better now at their age. Are you then by implication saying that President Muhammadu Buhari has not done well? The truth is that our expectations of this government have not been met. Everything they promised during the campaign and in their manifesto. The reason why everybody sought for change was that we thought this government will fight corruption tooth and nail without considering whosoever is involved. But we have now realized that the fight against corruption has become selective. Then two, the issue of insurgency, leave it or take it, to us, as laymen this battle is not over. We cannot or the government cannot justify the fact that we told Nigerians that the fight against insurgency is over. Almost every day we have had casualties. These are the two core issues. The third one on the campaign was the issue of power. This is nothing to write home about even though the Minister of Power told us that a responsible government should be able to fix power within six months. That has not been achieved more than two and a half years after. Now it is nothing to write home about; the same thing with roads. Even the issue of petrol pump price is another one. We were told during the campaign that immediately they resume office, fuel price would go down to N40 per liter from N97 per litre. Now, a government that promised this rather than keep to their promise raised the price astronomically. Now, it is between 70 and 80 percent increase. That is giving us a lot of concern. Certainly, whether you like it or not the government must take responsibility and I have no doubt in my mind that between them and God who created them they know they have failed Nigerians. And when people take responsibility, then we will begin to forgive ourselves. If they beg for forgiveness we can decide to overlook it and also forge ahead. But certainly, never again will anybody make this mistake. Never. From what you have said, would you agree this government will leave Nigerians worse than it met them? Honestly, the situation is nothing to write home about and we cannot continue hoping that anything will happen from now till the next one year. We cannot continue to imagine that. That would assume we are living in imagination and the truth of the matter is that from now until January what the government has been able to do is what they can do for this tenure and I do not think that Nigerians are prepared to be fooled for the second time. We will insist that those above 60 do not come on board again and that our generation should stand firm to take our destiny in our hands. We will jettison the issue of the difference in ethnicity, religion and other mundane, divisive sentiments to insist on good governance. We are enlightened and we know exactly what we want. We constitute about 70 to 80 percent of the population and if democracy is about numbers, we will achieve our aim. Are you also going to contest? I may, I may not. But I am saying we have a lot of them. We have a lot of people of my generation who can do better and who also have integrity. Nobody can question the integrity of Muhammadu Buhari, but I am also saying that governance cannot be single-handedly run in a country like Nigeria. We cannot also assume that he alone can do the job. He does not have a team to go with, simply because they took advantage of his ill-health or his age. In conclusion, should APC field the incumbent president, do you believe they will fail? They will fail. Any party that fields anybody above 60 years of age will fail. My opinion is that he should not allow people to drag his integrity into the mud because the system we have in place does not consider people like him with integrity and that is why he has a team of people who are only working to sabotage him and those are things that most Nigerians would not understand are not his responsibility for as long as the government fails everybody will assume that he is the one that fails. So my advice to him is that let him step up and be at the background to give support to a prominent, trusted youth to come up in 2019. That’s my advice to him. Buhari should bring up a successor, a young man, somebody who can be trusted and can do better. Let him be a father, a role model to all of us. We will look up to him. If not, this political party system can never allow him to thrive. Look at the best brains he said he hunted for six months; look at the embarrassment they are causing the country. For six months Buhari searched for the best brains, look at the brains he brought on board. Buhari should surrender his ambition and allow a younger person to take his place. That is my candid advice to him. culled from: The Sun News Paper. its just a year away. it better he brings out someone, and support the person, only a man can;t builda country.